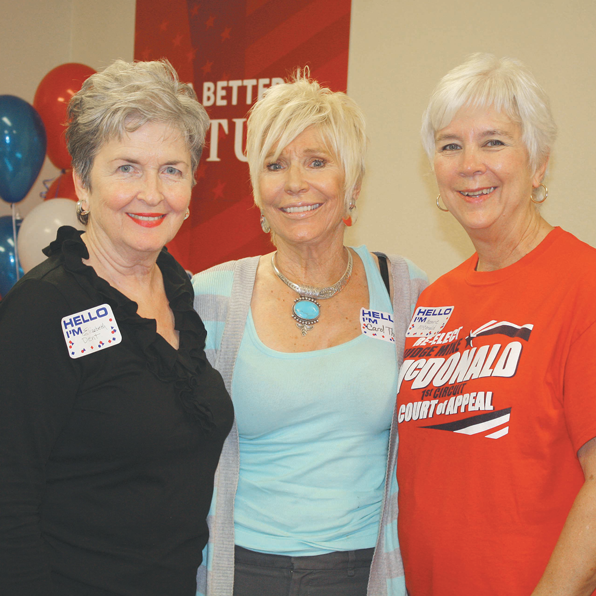 BATON ROUGE — The Republican Party of East Baton Rouge Parish opened its Parish Headquarters last week at 7047 Jefferson Highway, Suite B. More than 100 people attended. The headquarters will be used as an office, call center, meeting place, and pickup point for yard signs and literature. Event chairman Elizabeth Dent with co-hosts Carol Thomas and Memrie McDonald.